It was one of those Saturdays where we had a couple errands to run in the morning but then had the afternoon to be lazy and do whatever. 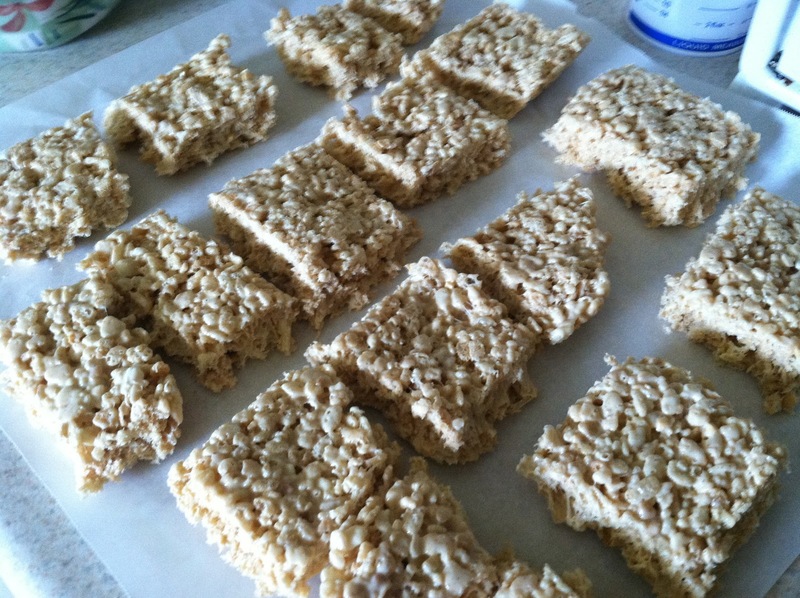 Superking mentioned something about Rice Krispie Treats and immediately I knew I had to make some. 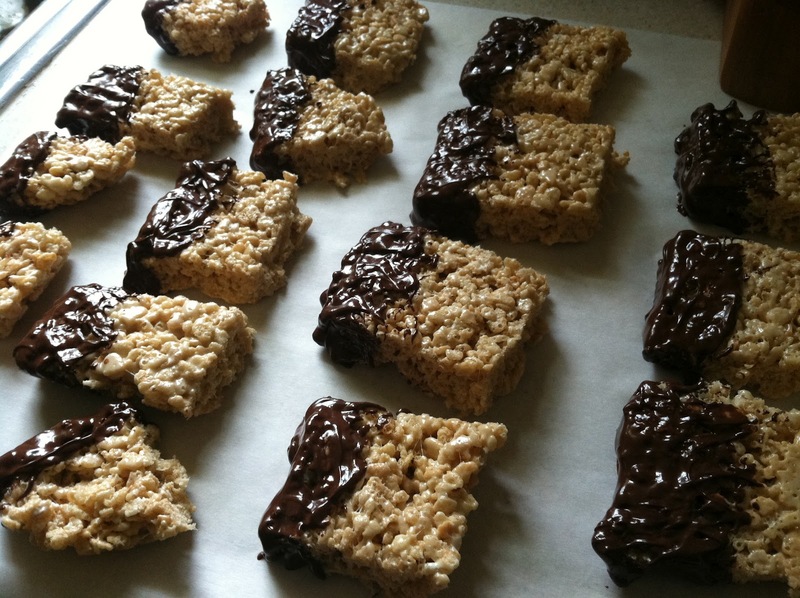 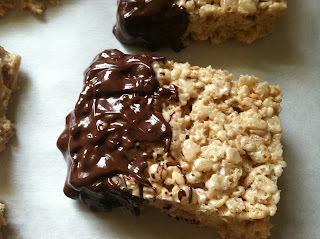 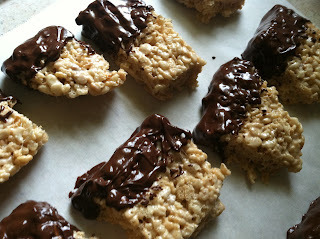 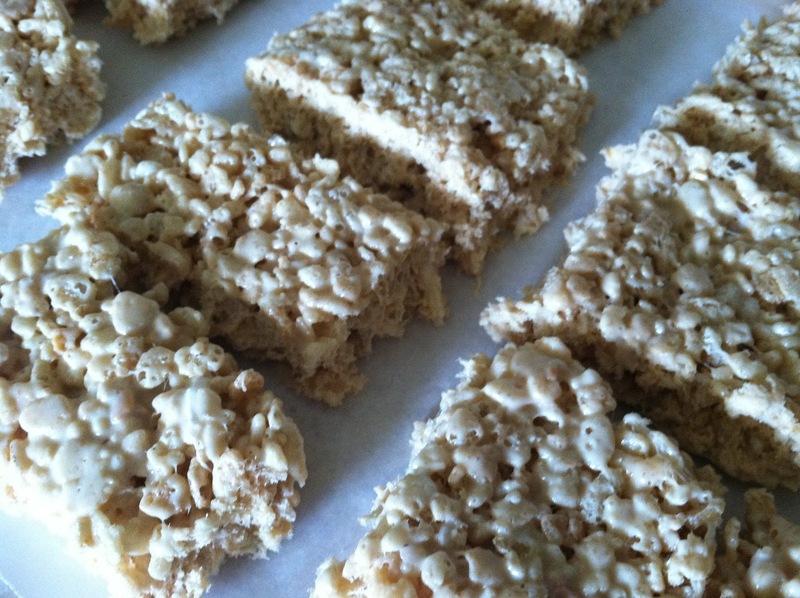 But I couldn't make just plain Rice Krispie Treats because that would be too pedestrian for these Food Adventurers. 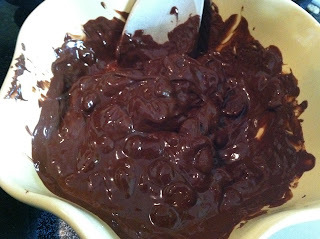 So we added some peanut butter (one of my three most favorite foods ever) and then dipped them in chocolate. Happy Lazy Saturday! !